I went to a lovely shop in our town this week to buy a few buttons. Why? 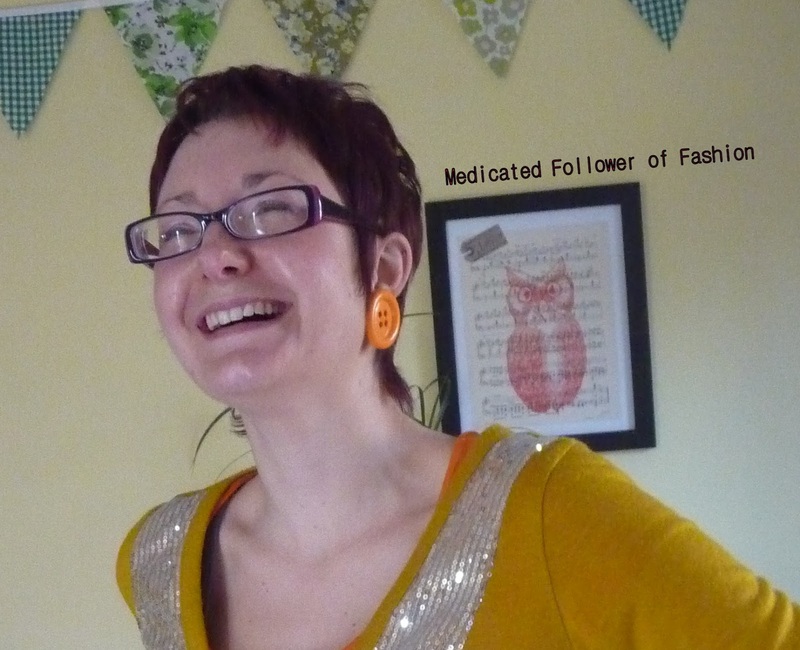 Well, if you've perused my blog on a fairly regular basis, you've probably noticed my orange button earrings. I wear them rather a lot! Quite simply, they were a pair of orange buttons onto which I glued silver-plated earring backs and hey presto, button earrings! They are big and in your face and get A LOT of compliments. From a whole range of people! Almost every time I wear them someone comments on them and many people ask me where I got them. It got me thinking.. I ought to make a few pairs and sell them! And that's just what I'm going to do. Just a couple of pairs at first, see if there's any interest for them on eBay. However, I thought that I would run a little comp on here as well, the prize being a pair of earrings!! So... if you like the look of them, keep an eye out on the blog - when I've made them, I'll be offering a pair to a lucky winner! Love it, love your style. Why not start an Etsy shop? ?